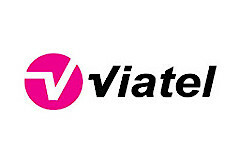 Viatel is the largest Irish-owned provider of advanced voice, broadband connectivity, data centre and managed WAN solutions. We provide cost-effective, innovative and bespoke telecoms solutions for small to medium enterprises (SME), corporate, public sector and wholesale customers. Viatel is the connectivity partner of choice to many of Ireland’s leading tech companies including; SAP, Voxpro, Hubspot, Workday, Symantec, AMCS, Huawei and KEMP. Viatel has recently launched enhanced security, hosted telephony, Amazon Direct Connect and managed services to add our growing product portfolio. Our competitive advantage, lies in our first-class service and quick solution deployment coupled with our broad range of access technologies and global partnerships. This allows us to deliver enterprise-grade data connectivity solutions which place our customers at the heart of every solution. Viatel provides 100% network reach across Ireland and extensive reach across Europe.